The company wants to upgrade its network infrastructure and secure it by forming an optical loop that will be compatible with the already installed singlemode fiber. The objective is to obtain a minimum of 1Gb/s to support the high bandwidth requirements of the industrial site. Today one of the links, made up of OM1 multimode fibers, 2200 m and 600 m in length, currently has a bandwidth of only 10 Mb/s. The site, which meets important safety standards, is difficult to access, making the installation of optical fibers on this protected site difficult. The AROONA-STAR solution from Cailabs guarantees a bandwidth > 10 Gb/s using existing multimode fiber. AROONA is quickly installed (3 hours), without interfering with other activities, at a cost 10 times less than installing new optical fibers, which would have been extremely expensive and complex on such a secure site. Increase in network bandwidth by a factor of 3000, with an increase from 10 Mb/s to 30 Gb/s. 3 hours installation time to upgrade the 2 multimode links in contrast with the difficult and long duration work that would be required to install new fibers. 10 x cheaper than an installation of new optical fibers. 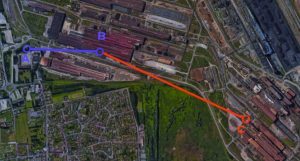 A French steel plant faces a growing need for bandwidth and wants therefore to improve the transmission bandwidths of its computer network. Its site, on an area of 12 square km, is considered a ‘SEVESO site’ by the European Union (industrial site presenting risks of major accidents which must maintain a high level of risk prevention). The plant has a fiber network that primarily comprises OM1 multimode fibers (62.5/125 µm) of a very old generation installed in the 1980s. The limiting fiber link of 2800 m in length (comprising 2200 and 600 m sections) cannot carry bandwidths greater than 10 Mb/s. The industrial site, which is highly secure, is equipped with numerous substations, machines, surveillance cameras, checkpoints, etc. The long OM1 fibers represent a bottleneck in the network and a connection between the two links is required to form one high bandwidth OM1 multimode fiber link. To overcome the bandwidth limitation of the existing infrastructure, the Information Systems Department wants to connect two links of 600 and 2200 m to form a single high bandwidth OM1 multimode fiber link of 2800 m length to achieve 1 Gb/s or even 10 Gb/s. This is a first stage in the network security project, the aim of which is to create an optical loop compatible with the singlemode links already installed at that time on the site. The Information Systems Department quickly realized that no integrator could offer recabling at a reasonable price, given the complexity of the site (SEVESO site). Moreover, the fibers are routed below roads or across production sites. A deployment of new fibers for the two links would have led to very extensive and costly work and involved a long shutdown of activity on the site. The Information Systems Department of the site came across Cailabs during the CRIP Convention (France) and was seduced by AROONA, which has the advantage of being a fixed-cost solution that does not involve significant levels of work. This industrial site, with few available fibers, wants to implement a multiplexing system to gain bandwidth without interrupting its activity or being subject to work-related disturbances. The Cailabs AROONA-SMUX solution now guarantees 30 Gb/s over the pair of upgraded OM1 fibers. The brief installation of AROONA SMUX (3 hours) allowed upgrading of the two multimode fiber links of 2200 m and 600 m at a cost at least ten times less than recabling would have cost. This industrial site was able to future-proof its cabling infrastructure, improving its bandwidth by a factor of 3000. The plant now envisages the installation of supplementary AROONA-STAR boxes to complete the optical loop which would connect the whole network across the 12 km² site. 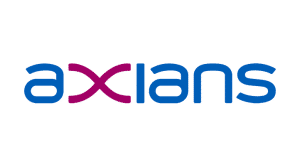 Axians brings to its customers, whether companies, authorities, service providers or telecommunications operators, a range of solutions to design, deploy and manage their network infrastructures. The partnership between Axians, contractor/integrator of this industrial company and Cailabs meant that AROONA solutions could be offered that matched the needs for increasing the bandwidth. Consequently, the company could use the extra bandwidth immediately after installation of the AROONA-SMUX.